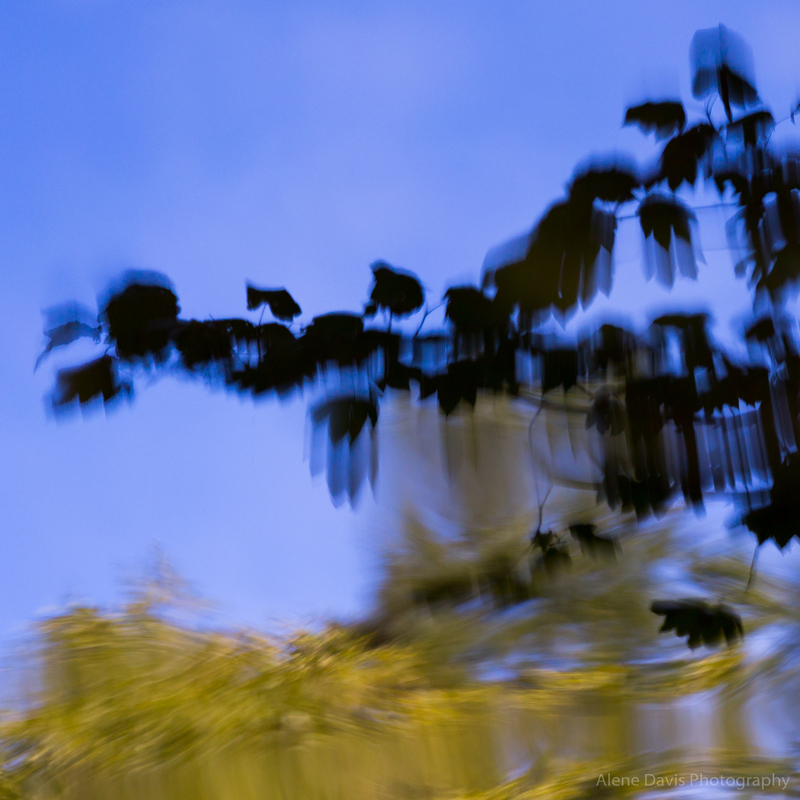 I recently had about an hour to spend, alone and with my camera, walking along Still Creek. It was a beautiful mid-September day, warm and sunny, and I was hoping to find the salmon spawning. I also couldn’t help but marvel at the never-ending peace and beauty of the forest. 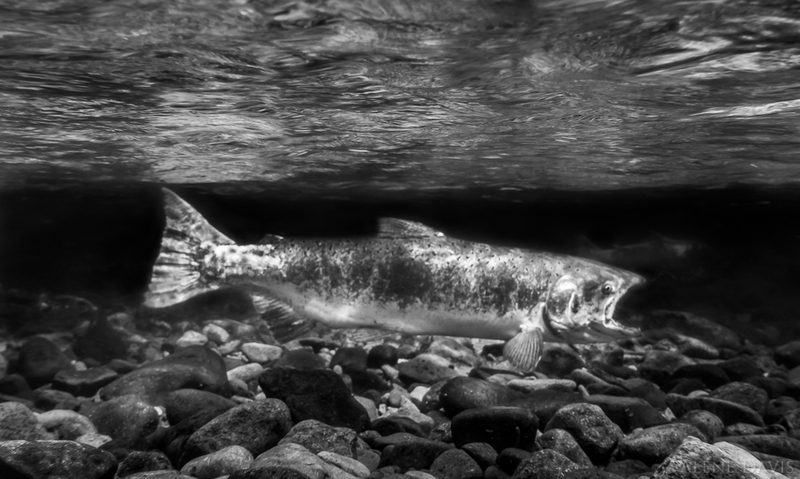 By mid-September in years past salmon have been in pretty good abundance. Unfortunately, there weren’t many salmon to see on this outing, but I made several halfhearted attempts to capture the few that were there, while thinking about the large numbers in years past and hoping they were just a little late this year rather than kept away by the low water levels resulting from the lack of normal precipitation this year. I also thought about some of the ways I’d captured salmon in years past on this creek with my cameras. 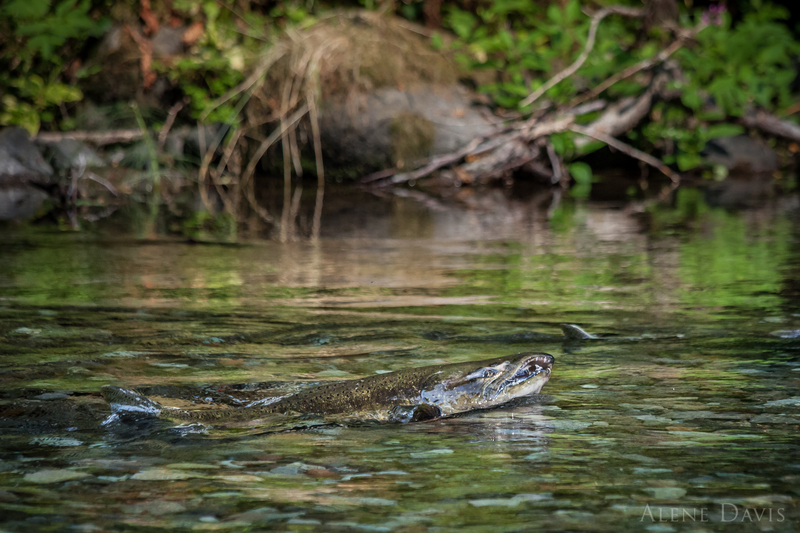 In 2012 I captured this photo, which shows a rather aggressive looking male salmon after a tussle with another nearby salmon. Check out those teeth! And here are some 2014 images, made with an underwater housing for my then-new Sony DSC-RX100M3, a great little high-resolution point and shoot. In 2014 I upped my game with an underwater camera case for a smaller but still decent quality digital camera. On this day, however, I didn’t have any underwater gear with me, and well, there weren’t many salmon. So instead of focusing on the fish, I focused my thoughts and my telephoto lens on the gorgeous creek and forest around me. Reflections of trees on the surface of the creek. 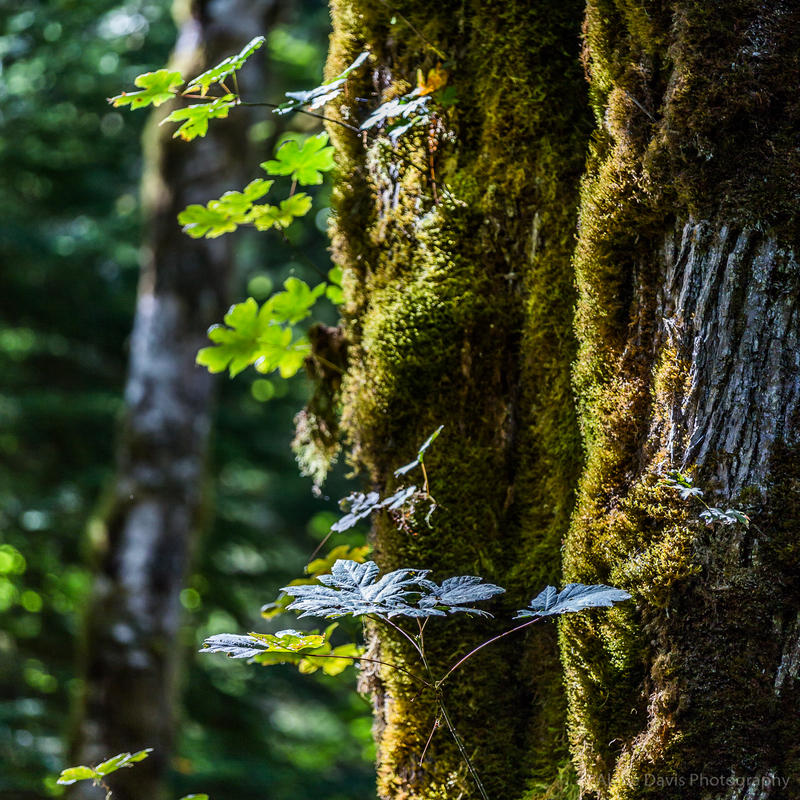 The forest has so many little details packed with so many forms of life. Plants large, small, and tiny, growing on each other, as well as insects, birds, and small mammals, most of which stay hidden and you never see. 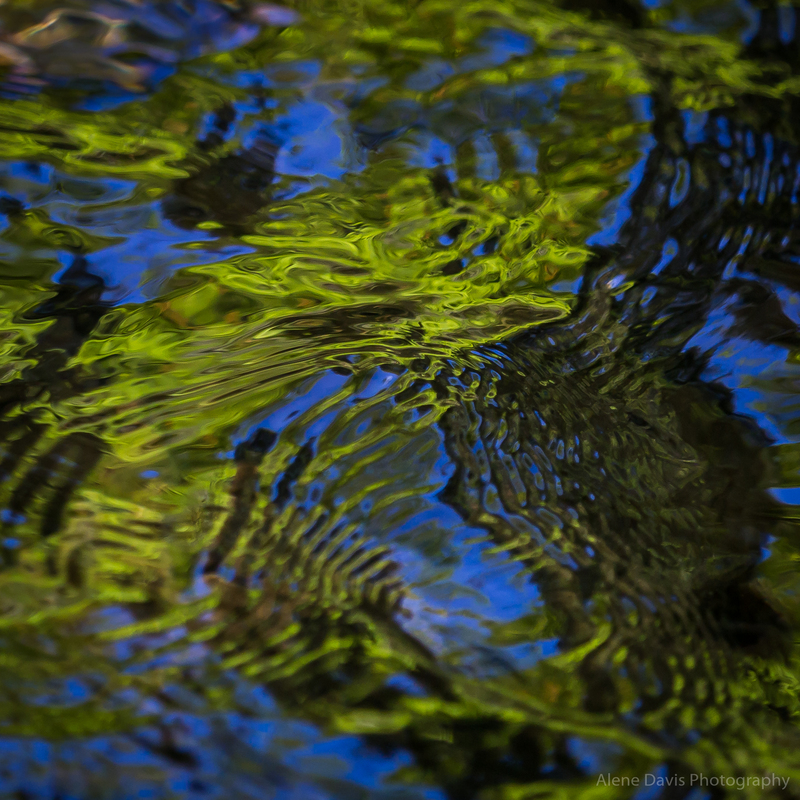 Brilliant leaf greens and sky blues create abstract patterns on the undulating water. 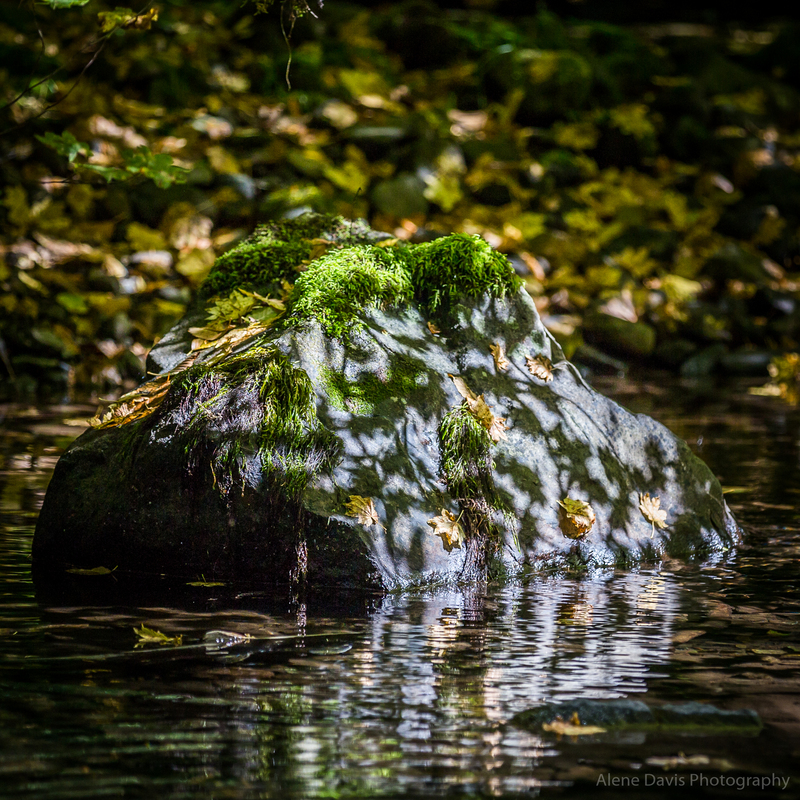 Sunlight throws leaf-shaped shadows on a moss-capped rock in Still Creek. Or perhaps that’s the mossy toupee of a river troll napping in the creek. 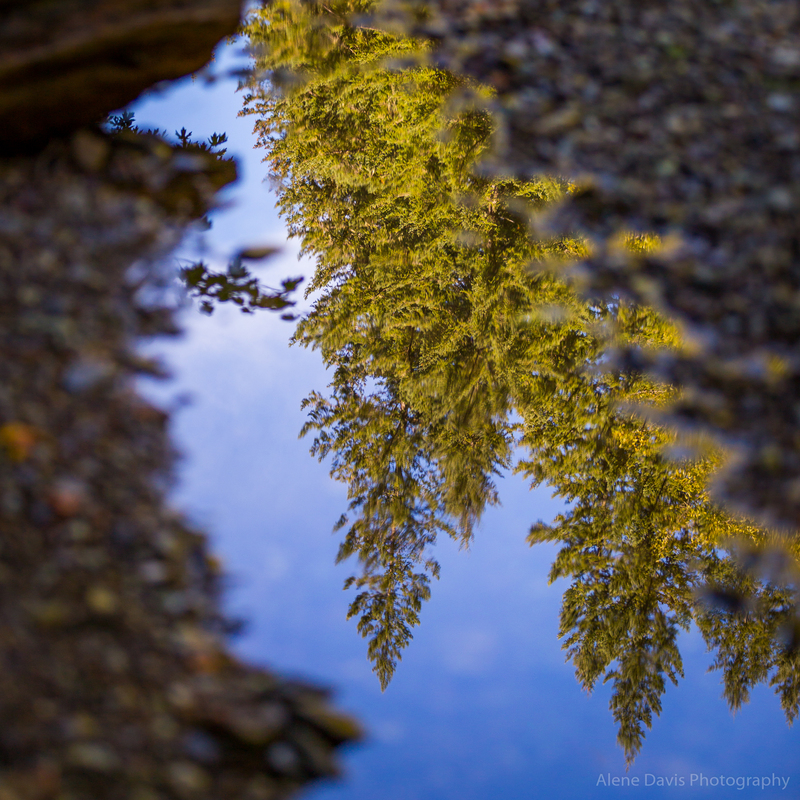 Tall fir trees reflected in a still shallow pool on the pebble-covered bank of the creek. A bright sunny day creates strong reflections in the water. 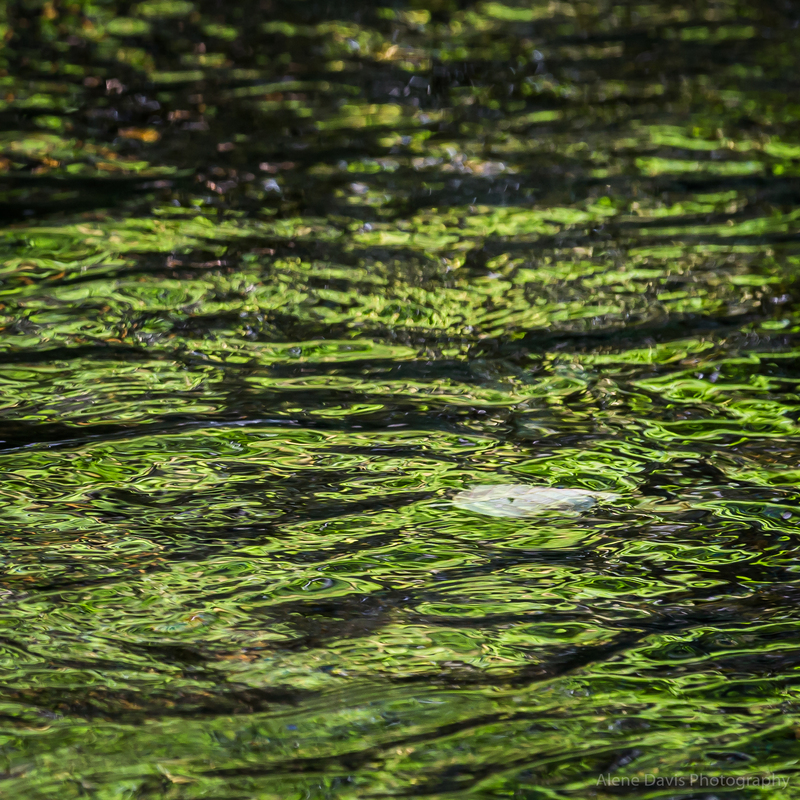 Here a leaf floats down the creek while the sunny green of the trees on the opposite bank ripples across the water’s surface. I did see a few salmon, but none from up close. 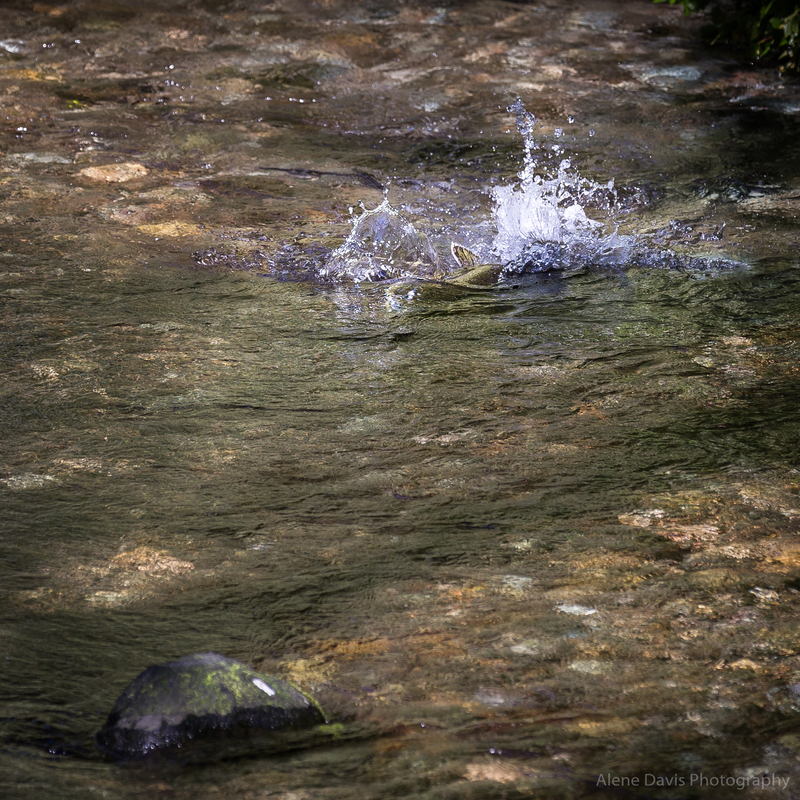 A salmon thrashes in the water to prepare a redd to take eggs during salmon spawning season on Still Creek. 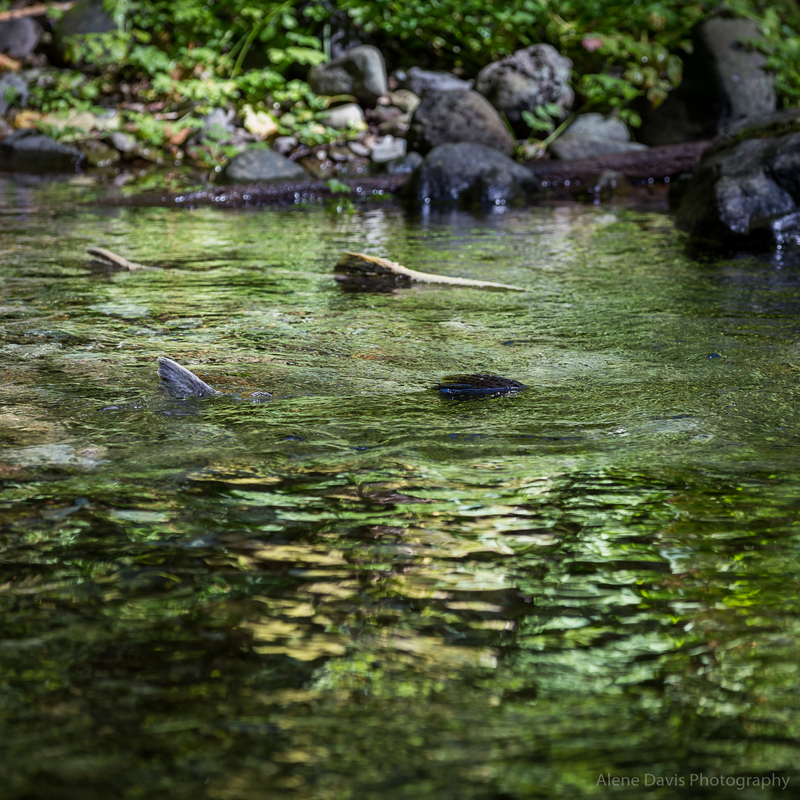 Two salmon swim in place to save energy while spawning in the shallow waters of Still Creek. Despite finding the salmon I was there to see, for most of my outing it was the magic of the forest that captured my full attention and that of my camera lens. 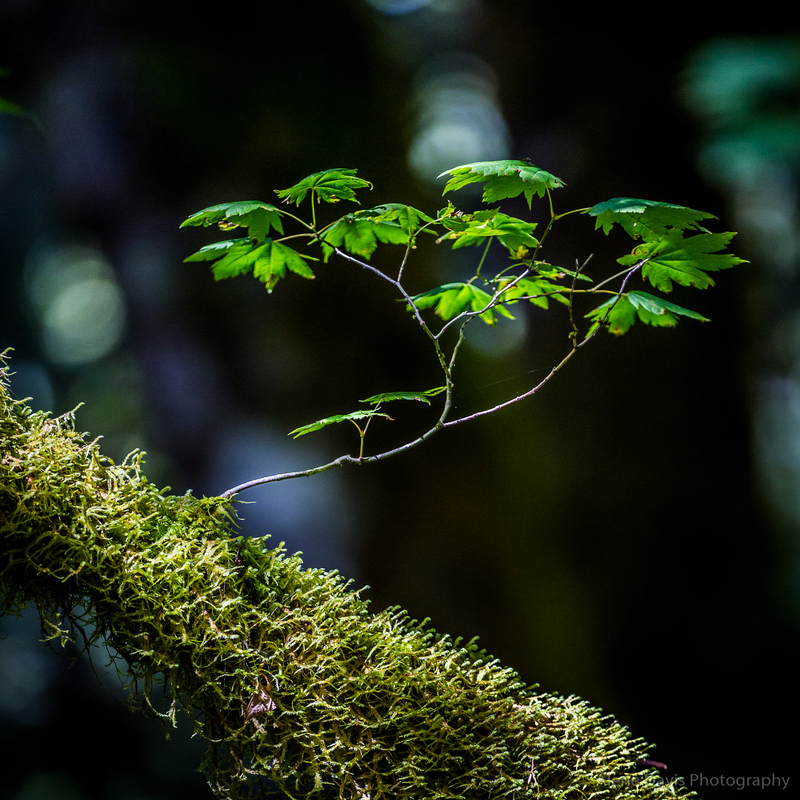 A young branch mimics a bonsai tree as it grows from a moss-covered larger branch.